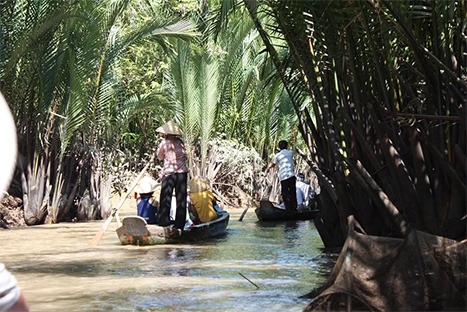 Mekong delta tour 2 days 1 night starting with Cai Be, one of the floating markets in the delta, discover the characteristics of local life in the delta region. It is a bustling wholesale market where hundreds of traders convene to exchange fresh produce and other commodities from their wooden sampans. Continue cruising through the maze of canals and waterways and experience the timeless scenery of life on the delta. As the sun sets, your boat will dock for the night amidst the tranquil delta. 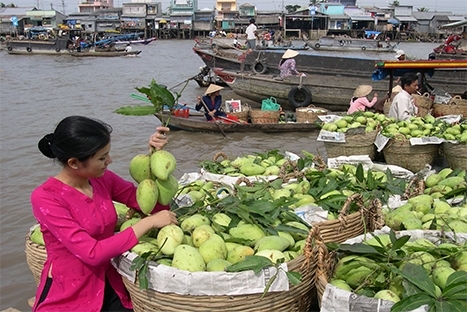 The following morning, our boat will bring you to Cai Rang, another well-established floating market in the Mekong Delta. At sunrise, wake up to the bustle and see hundreds of boats of different sizes loaded with seasonal goods. Produce are tied to a tall pole placed in front of the boats to attract market-goers and let them see from afar the goods on offer. 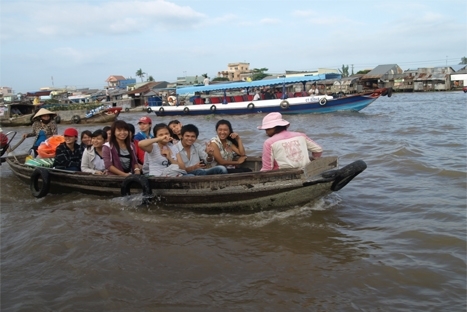 This morning, leave Ho Chi Minh City for the 2-hour drive to the delta town of Cai Be. On arrival, board your boat for an overnight cruise. 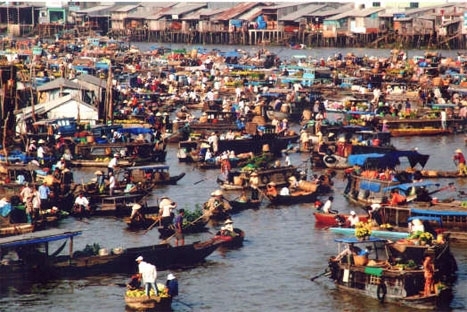 Start in Cai Be floating market where traders have been living on the delta waters for generations. After visiting the market, continue cruising the distributaries where lunch will be served en-route. Along the way admire the scenery and daily life of the local villagers. 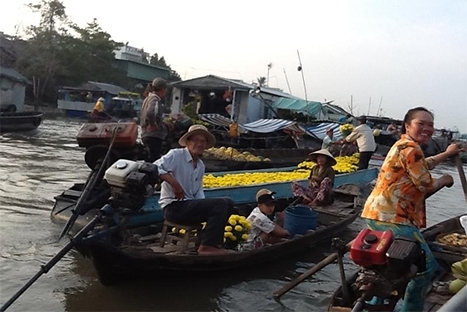 Dinner and overnight on board your boat on the Mekong Delta. Overnight IN Can Tho . 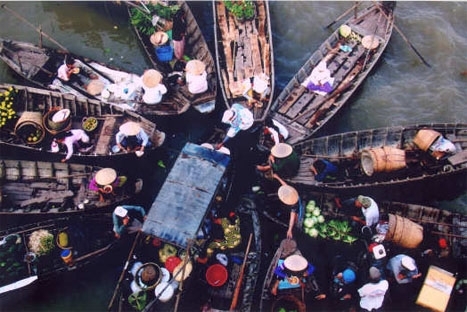 This morning, cruise to Cai Rang floating market, taking in the traditional sights such as rice barges, traditional shipyards and tropical fruits drying along the river banks along the way. After a visit to the colorful floating market, check out and disembark before the return to Ho Chi Minh City. Sightseeing: rowing boat , Don Ca Tai Tu + fresh cotton towels, fresh fruits with hot green tea mineral water during trip.